Successful people do what others are not willing to do…mostly it’s in the follow-up. We sometimes make a plan (entrepreneurs keep a lot of ideas in their minds and don’t always make a written plan to share), and sometimes we create action items for the plan, and sometimes we connect the plan to implementation. If we do those things, then we raise the bar substantially on succeeding. That puts us into the top 10% of leadership excellence. Check my recent podcast (04) Creating Your Plan for Success to see my thinking on what’s missing for successful organizational leadership. 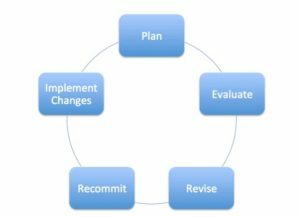 After completing the planning and action plan activation process, it’s critical to have a plan for continuing improvement and accountability. 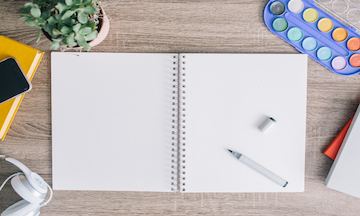 Create and Share the Plan: Having a written document that is distributed, complete with action items, champions, and deadlines, is the beginning. Next, commit to continually evaluating the plan, the progress, and the implementation. Evaluate: Establish a frequency for evaluating the plan. If you have a 5-year plan and update it every six months, then you always have a 5-year plan. It’s one plan migrated over time. Evaluate what’s working, what needs to be changed (or stopped), and what different things to add. Minor evaluations can be scheduled for the action plans and milestones along the way, however a major evaluation must be put on the calendar with the buy-in from the entire team. Revise: If it’s not working, then change it. This sounds logical, however so many leaders get stuck in a rut and can’t see the way out. Commit to change what’s not working. Recommit: We will most likely have to renegotiate roles and responsibilities along with timelines. We can’t assume that everybody will just roll into the new model. Ask for a commitment to the revisions. Implement: Establish a new action plan to address revised objectives and revise the accountability metrics for staying on track. This process must happen face-to-face with the planning team. The integration of planning and performance is an intentional framework of the culture. What happens outside of the details of the planning documents is the most important and overlooked dynamic. We are creating a New Architecture of EngagementTM in the process. Those who follow up will win!